Prelate of the Methodist Church of Nigeria, Dr. Samuel Kalu-Uche said yesterday that politicians were behind herdsmen killings. 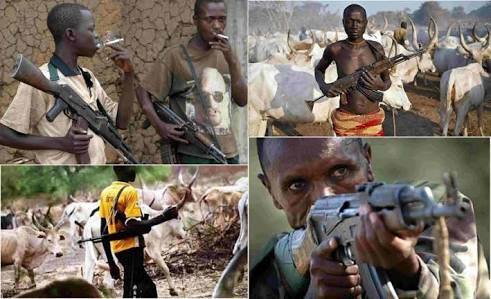 Dr. Kalu-Uchehe urged President Muhammadu Buhari to fish out those arming the herdsmen and make them face the law. He advised politicians who think they could rig themselves into elected positions to know that Nigerians were now wiser. The prelate gave the advice at a news conference after what he called an “Apostolic Tour’’ of the Church’s Arch Dioceses in the FCT, as well as Minna and Lokoja. “Our leaders should learn from the fall of Sadam Hussein, Gadaffi , Idi Amin and Robbert Mugabe. “Our politicians are not learning. They should not think they are powerful. Power belongs to God. If they think they are powerful, God has a way of dealing with them,’’ he said. He decried a situation where some elected politicians earn as much as N13.5 million as monthly allowance, while the masses were suffering. Kanu-Uche noted that security remained a challenge, especially the recurring herdsmen/farmers clashes in a number of states. “The people you call herdsmen now were not the ones we knew when we were younger in the 60s. “Herdsmen live in our villages, they used their staff and control thousands of cattle and we relate well with them, there was no shooting, but now they use gun. Urging Nigerians to embrace one and another and live in peace irrespective of religious and political leanings. “God did not make a mistake in bringing us together. “We want a united country, where there is peace, harmony, justice, equity and rule of law.